It is with great excitement and pride that we share in the announcement and congratulations to Dr. Sandi Kirby for her recent inductment into the Canada Sports Hall of Fame. “Much of the accomplished scholar and former Olympic rower’s career has been spent trying to eliminate sexual harassment and abuse, homophobia and violence against children in sport. In 2009, Kirby was part of an academic team that developed an online education program aimed at ending sexual harassment and abuse of children and teenagers in Olympic sports. 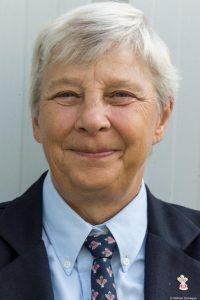 The sociologist and one-time physical education teacher in British Columbia joined a Canadian crew at the 1976 Montreal Olympics that placed ninth in the coxed quadruple sculls”. Sandi is an integral part to rowing in our country. Her work on the Manitoba Rowing Association Board, as an Umpire around the globe, and her wealth of knowledge of the sport makes it an honour for all of us to work with her each day. A huge congratulations from all of us in the Manitoba rowing community! A very well deserved honour!